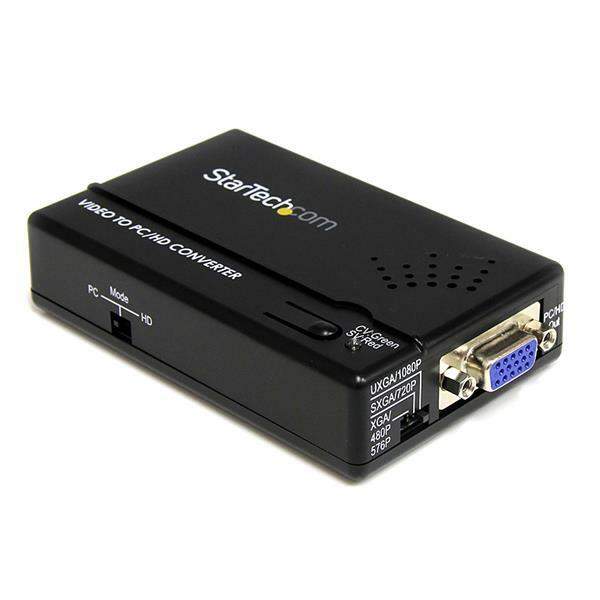 The VID2VGATV2 Composite and S-Video to VGA Video Scan Converter (with Scaler) provides a simple way to convert Composite or S-Video signals to VGA (or Component RCA) output, for use with computer monitors, projectors or HDTV sets. 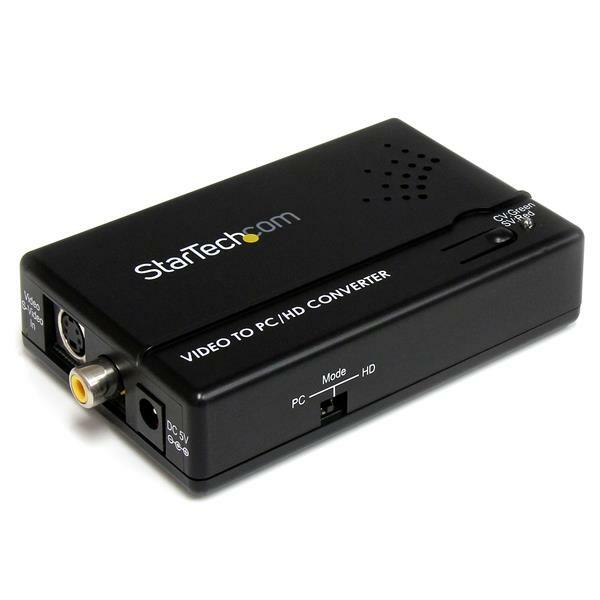 Equipped with an On-Screen Display (OSD) menu and dip switches for simple configuration and selection of your video output settings, this compact video scaler installs quickly and easily for a true plug-and-play experience. 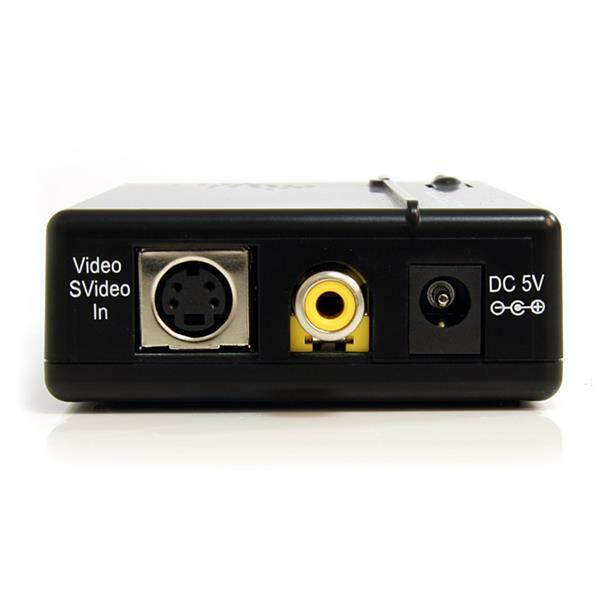 An integrated scaler circuit dynamically converts the S-Video or Composite video input signal, giving you multiple output resolutions to choose from, to ensure compatibility with your display or projector. 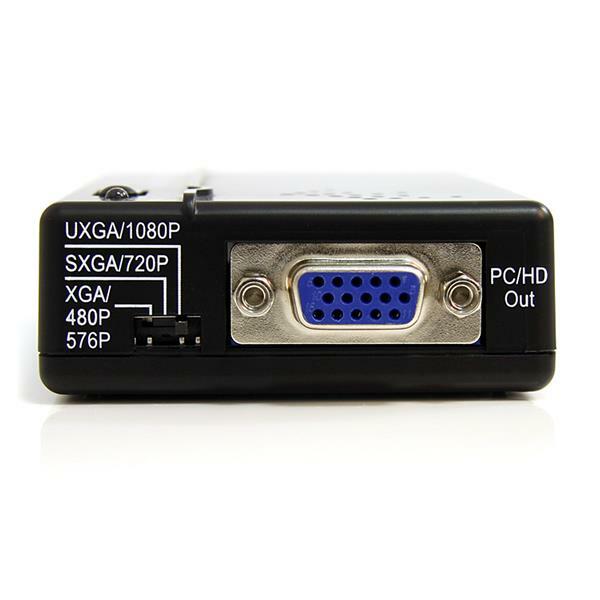 Plus, the Component/S-Video-VGA Converter includes a VGA to Component (RCA) breakout cable, which enables you to connect to TV sets that are not equipped with a VGA port. I used this unit to convert the s-video output of a teleconference unit to VGA. Picture quality was excellent, no perceivable artifacts in the upconversion of the video. If I had only one gripe it would be the selector button that selects the input from either baseband video or s-video. (not worth losing a star over) Since it is a push button that toggles between the two it can be inadvertently hit and you of course would loose picture.